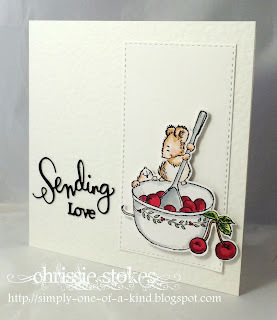 The challenge at Less is More this week is to include fruit on a card. Here is a Penny Black image coloured with alcohol pens and cut out! Art Impressions stamp and computer generated sentiment! The fruit is the olive! 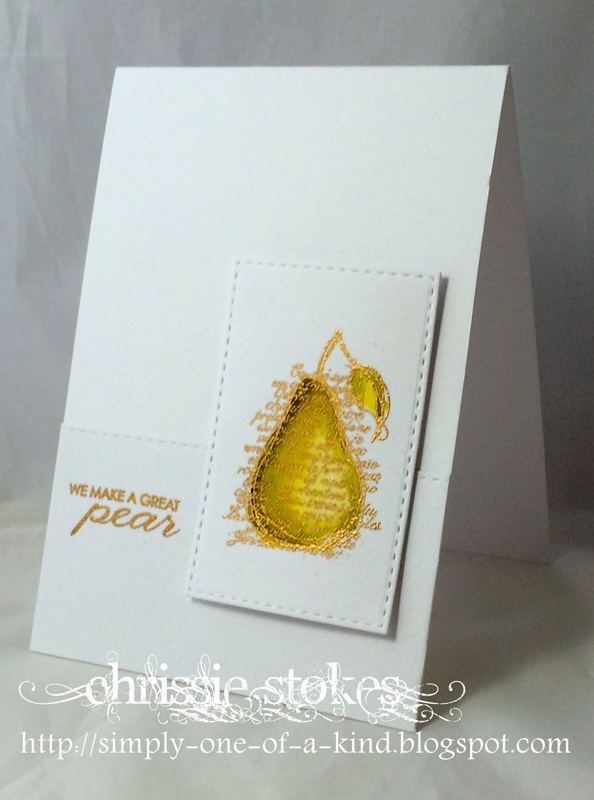 This is a Stampin' Up pear, gold embossed and coloured with Distress Inks and accompanied by a sentiment from WPlus9. Sadly the colours look a little odd here, i had to use my daylight lamp to try to take a pic as it was so dull! Today we will be doing a workshop day on the Messiah with our choir... I think we may be rather surprised by some of the things we get to do... some dance was muted!!! Not one but three amazing cards Chrissie. My absolute favourite is the pear this looks so gorgeous. Stunning bunch of cards, and I must admit I love the pear one best as well, so elegant and luscious. You continue to be so creative. 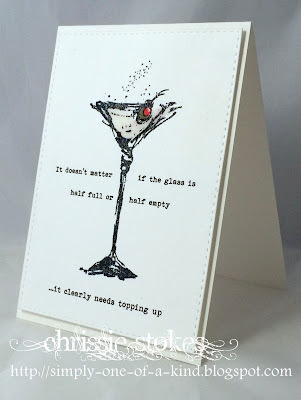 These are wonderful cards, but have to go with the glass as it's my sense of humour. 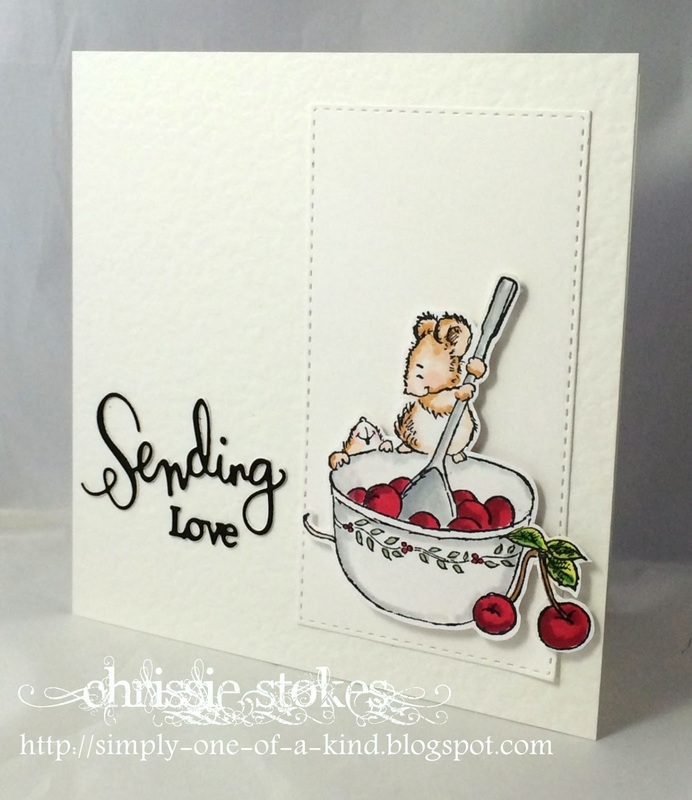 Wonderful cards - I do love little meece! Lovve your cards. My favorite is the martini. Perfect! 3 great cards. I love the PB mice, but the sentiment on the second one is fabulous.